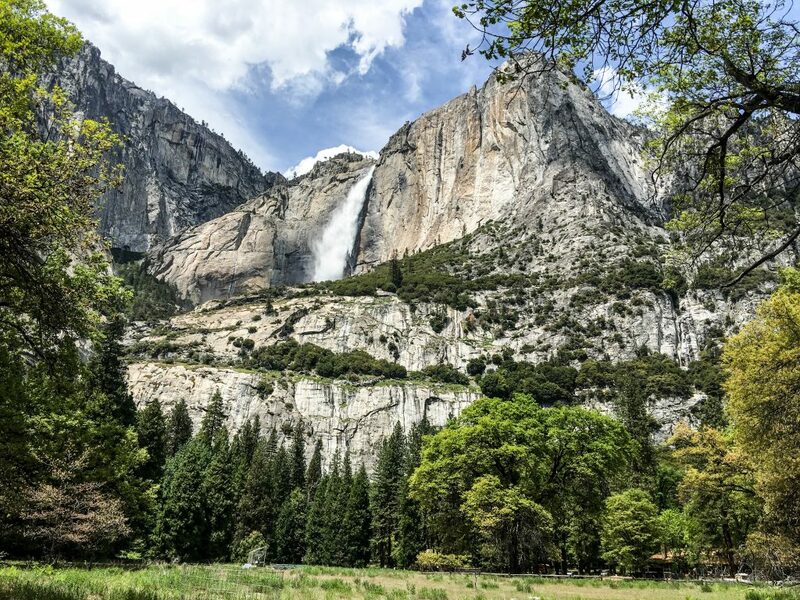 Yosemite Park is one of America’s most iconic natural monuments, and it is beloved for good reason. Here, you can find all the grandeur of America’s natural world and fall in love! Come away to the loneness of the evergreen forests and stand in awe of the majestic granite mountains. Let your soul be refreshed. Drive to the park in order to explore on your own. I highly recommend this, since it’s more fun to do your own thing on a trip like this. Bus Tours are also available. If you don’t want to worry about the car or you have a time crunch, this is your best option. Park admission is $15 per person if you arrive on foot or in a bus. If you’re driving, it’s $30 per car. Personally, I would have opted for a major hike, but this particular trip was all about family bonding, and most of us weren’t capable of hiking. We did a lot of walking instead. You know what? It was still great. Being in a beautiful place with people I love is awesome. Glacier Point can be summed up in one word: STUNNING. At this lookout point, we stood over three thousand feet above the valley below and took in the almost unreal views of Half Dome, High Sierra, and the Yosemite Valley. 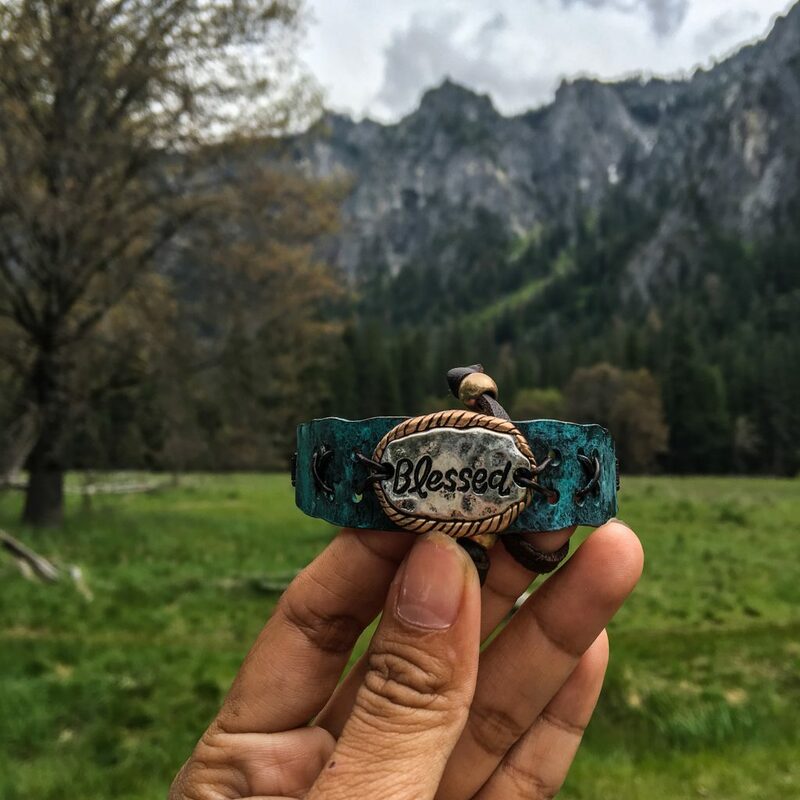 Go to Yosemite Valley for the most famous views. You can get here by car or bus tour. There is a lot to do in the Valley, too, besides just walking around. Although, you might spend a whole day doing that because it’s just so beautiful. See Bridal Veil Falls. This lovely waterfall is just a 20-minute walk from the parking lot. It flows all year round, so be sure to check it out when you go. The Lower Falls are also easy to access. These waterfalls are tallest than the highest building ever built and the fifth tallest falls in the world. Fun fact: When the full moon rises, it creates “moonbows,” nocturnal rainbows, at the base of the falls! Visit Half Dome Village for a peek into the nightlife at Yosemite. And by nightlife, I mean camping, stargazing, watching movies at the outdoor amphitheater, and avoiding bears. Go on a picnic. Not only does it save you money, but it gives you the opportunity to sit back and enjoy the views. Visit the Campsites. Beware of bears! We saw one in Camp Four. I don’t know if I was more scared or excited. If you’re into bouldering, you’ll like all the boulders around this campsite! Visit the Giant Sequoia Trees. Unfortunately, they are closed for restoration until next year, so we didn’t really get to see them. Go on a Night Prowl and Star Gaze. You may never again get the opportunity to see such a brilliant display of the heavens! Attend an Art Class. Local artists at the Yosemite Art Center in the Village offer morning workshops every day of the week except Sunday, when they hold a 2-hour beginner class. You can attend one for just ten bucks. Visit the Indian Village for a trip back in time. You can see many structures that were built in the style of the local Natives. Most of them were built fairly recently, but they retain the style of architecture used by Natives in the 1800s, which has both European and Native influences. Eat in the Food Court. The food price was surprisingly decent, and very yummy. I got Angus burgers for five dollars. See the Wildlife – we saw deer, bears, squirrels, and birds. There are almost 100 species of mammals in the park! Drive Around and See the Lakes. Better yet, go on foot! We enjoyed the walking. Go Biking. There is so much to see in Yosemite. If you take a bike ride, you can see more stuff more quickly and still be outside. Never leave food in your car. A bear will eat your food and damage your car! Have zero expectations for the public restrooms. Yuck. The only clean one was in the food court. Fall in love with nature! Bring layers. Throughout the day, I alternated between being warm from walking and cold by the falls. Bring layers so you can adjust as you go. The falls are so strong you will get wet, so take measures to waterproof your camera. Gas up before you get there, before you get to the great wilderness. We saw one now and then, but we didn’t see many. Better safe than sorry. The road is long and winding. Make sure you’re up for the drive. Use the Turnouts. The road is curvy and steep, but there are a lot of spots to stop and take photos. Plus, it’s just polite to other drivers. Bring a senior! You can get an annual pass for just $10. Thanks for all the great tips. I was listing to a segment on the NPR this weekend about how our parks are changing because of the climate, and it really made me want to venture to more parks before more changes happen. They are such treasured locations to explore nature. 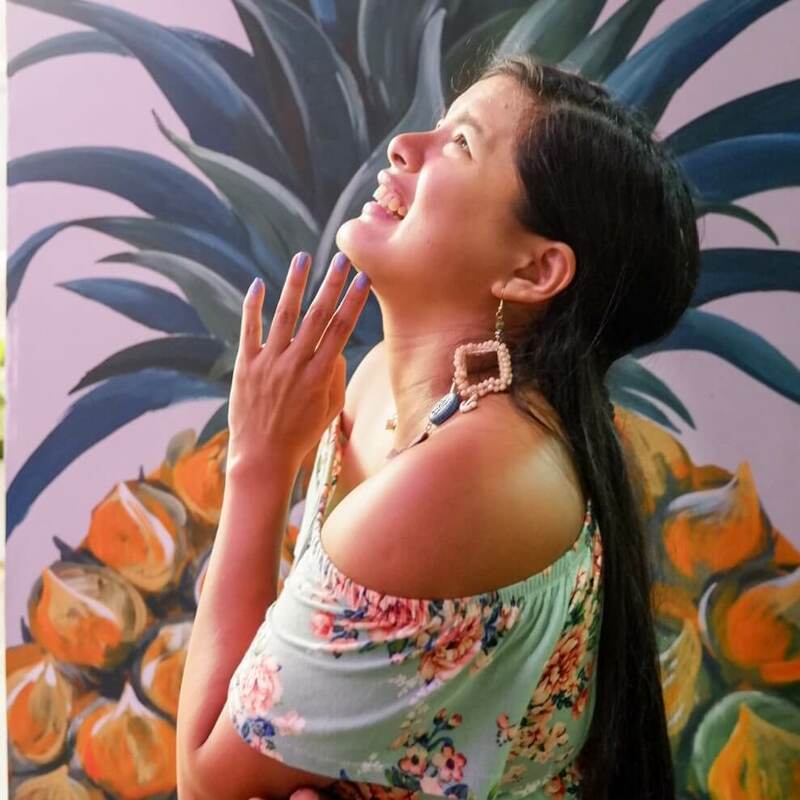 Wow another awesome post and Bucket List Item Added Karla. 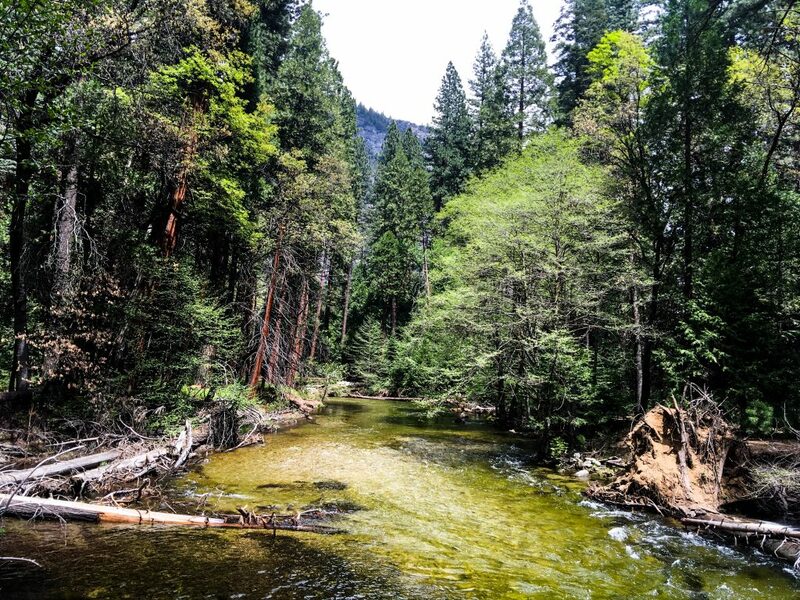 The Yosemite National Park, Have heard of it but didnt pay much attention, Now I am definitely paying attention! I also love your style. The Good, the great and the ugly you lay it all out…the tips and then hacks Loved it. Thanks for sharing! I’ve always wanted to visit Yosemite! These pictures are stunning, need to get there ASAP! This is a really helpful guide. I think I’d have to plan for an extended stay. There is so much to see! I have never been to Yosemite National Park. My husband was able to go there once and he was talking about it for a month! I would love to have that experience too. Maybe this summer, we can plan a trip to this awesome place. BTW, your pics are so beautiful! This is definitely a place that I have wanted to visit for forever! I’ve heard such great things from people about the park and how beyond beautiful it is and that is proven through your pictures. One day! It does sound like an amazing place. I really need to plan a trip there! You can’t deny the beauty of this park and I’m so happy that they are able to preserve it. It’s nice to be able to go here with family, just like you. What better way to enjoy such a lovely place, right? I’m glad there are lots of activities even for non-hikers. Hiking and I are not friends, haha! I’ve heard a lot of great stories about this amazing national park. I’ve always wanted to go one day and hopefully that day will come sooner rather than later. Yosemite sounds a very nice place to have a long vacation with. I like the pictures you’ve posted, very refreshing! All of those photos are beautiful! I have never been there before. I think it would be a great trip for my family though. I love being outdoors and looking at parks like these. I so loved your guide! I love to go to the lower waterfalls, I heard os many good things about Yosemite National Park. I would love to take the kids to see Yosemite. It’s so beautiful there, and I think it’s something that none of us would ever forget. Yosemite is beautiful. I have always wanted to take my family to see it. This is definitely on my bucket list. Thanks for the tips, I want to take my husband and little girls one day. Visiting Yosemite National Park is definitely on my bucket list. I already have this year’s vacations planned but hopefully I can fit a visit in next year. Yosemite is just a few hours away. We try to visit every couple of years. The view is beautiful from so many points, as shown in your fantastic pictures. Good advice on the bears. They are dangerous. Yosemite looks absolutely beautiful. I love that you have shared here things to do if you are not into hiking. I will have to make it there to see one day. Such epic epic pics Karla! i love this place already i so want to go there. Brilliant description and insight on the location. What a beautiful place to experience, I am loving all of the photos. Someday I would love to go there. Well if I ever make it to Yosemite National Park I now know what to do when I get there. Great list of things to do! Yosemite is definitely on my travel bucket list. Your photos are absolutely breathtaking and I would love to be able to see some wildlife too. We used to live in the Bay Area in CA so spent a great deal of time in Yosemite. Have winter camped there and took our daughter when she was 3 weeks old (not winter camping!). Beautiful spot. I would love to have a view in the Yosemite valley, the falls looks so amazing. i would love to see this place in person. I would love to visit Yosemite. There is also a program out there where 4th graders can get a year pass, my son is going into 4th grade. That is a place I think I would enjoy visiting. Thank you for sharing the post and all those great photos! I am putting this on my bucket list. There are so much to see in this national park I would like to bring my family there and had picnic there. My son will surely love it. Th place looks amazing. i would love to be in the tip of the glacier point, sounds cool! Yosemite Park has been one the favorite places to visit with my kids for long, but never had a chance yet. The pictures are so beautiful & inviting that I would love to go for a trip right away. The Lower Falls looks just stunning & it is going to be a great experience. AAAAAH I would much rather be here right now. What a beauty! 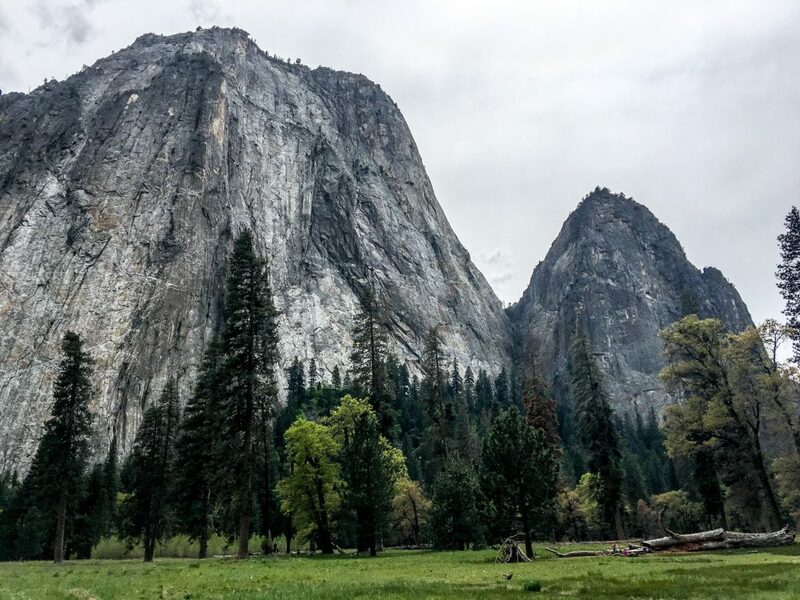 Thanks for the guide for Yosemite – I love your pictures. Your list of tips is also helpful. I want to put this on my travel list. Yosemite National park looks so amazing, I will visit this place maybe this year. I’ll put it in my bucket list. I would love to go explore Yosemite Park . It looks so beautiful and relaxing there. It would be a great way to recharge your batteries. 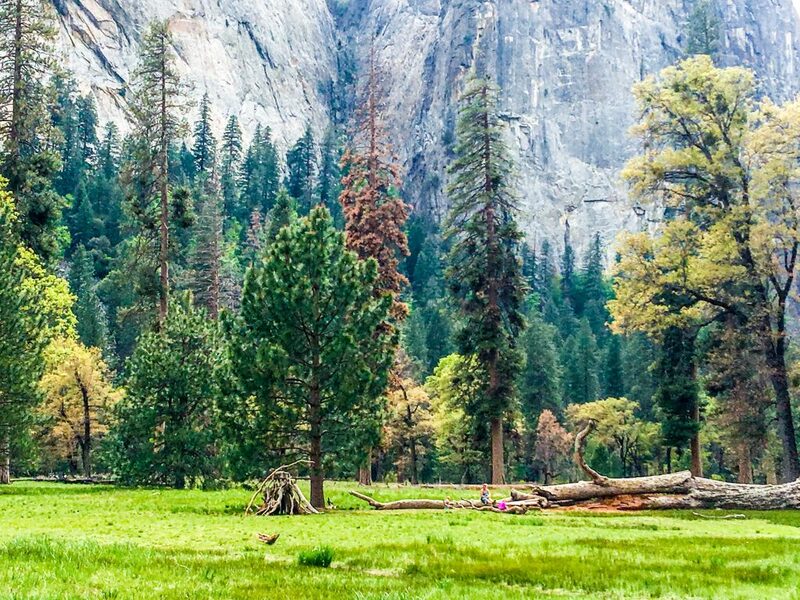 I have always wanted to visit Yosemite National Park and these pictures truly make me want to go even more. I love that there is so much to do and explore. Nature is amazing and always has a lot to offer. It is a little bit expensive but I know they do it because taking care of such a beautiful view cant be easy! You’ve got so many good tips here. I’d love to see those giant trees. Lovely views! 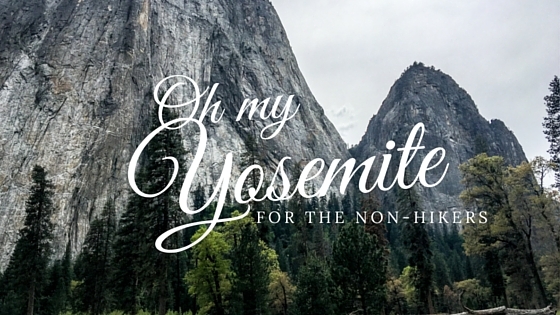 My husband and son did go to Yosemite national park, but the weird thing is that I never go there. My husband will take me there. We live here in my small town near Yosemite Park. OOH! When i move to the US this is one of the places that is actually in my bucket list ! Great post! I’m not a hiker. I’d go for a leisurely walk there and have a lovely picnic. What a gorgeous part of the country! What a beautiful place! I’ve never been to Yosemite but would love to see it one day! It reminds me of our parks up here in British Columbia! This looks like a gorgeous park. That waterfall is breathtaking! I’m totally pinning your post! We are headed that direction in a couple of weeks and I wanted to surprise my husband by going there! You took some great photos!!! I am not a park/hiking kind of girl but I can see how liberating it can be. Exploring nature is one of my families favorite thing to do. You have beautiful photos here. We have not been to that amazing park. I hope someday we can check them out. I have always wanted to visit Yosemite! Maybe one day I will make it there. It is definitely on my list. I am so happy that there are other things to do here besides hiking. I would love to take a visit. Maybe when I am stateside I will make this one of my destinations to check out! It looks absolutely breathtaking. What a gorgeous park. Would love to go there by bus tour. 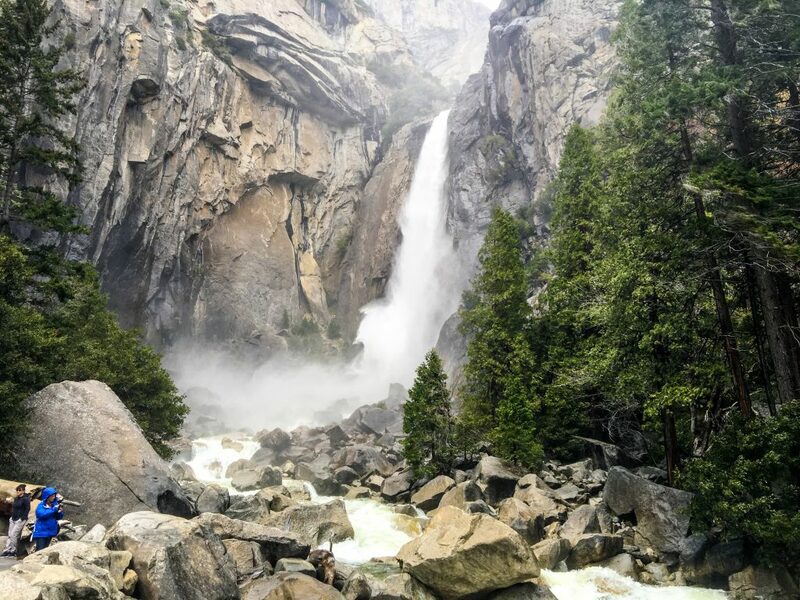 Yosemite Park is really beautiful to explore and connect with nature. I hope I can visit there someday. Yosemite is such a beautiful park and I’ve heard so much about it. I hope I can visit it one of these days. How beautiful! 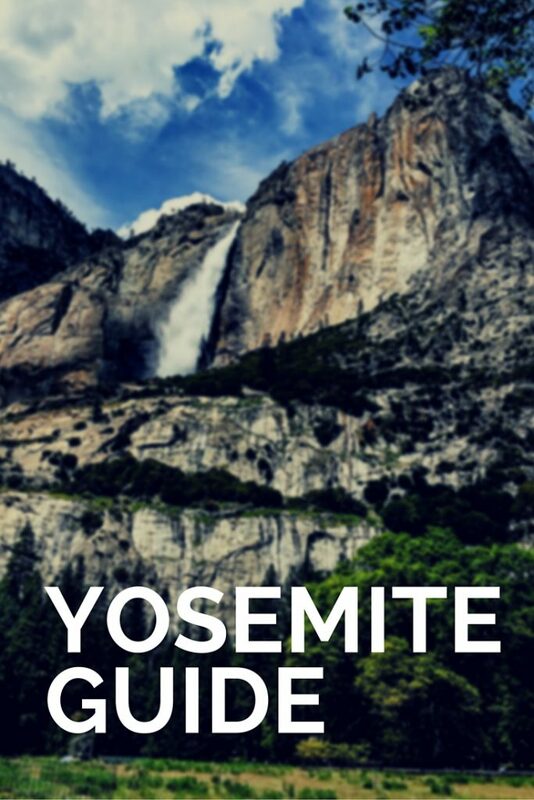 Yosemite is actually on our list of places to visit this year. Now I can’t wait! I wanna visit it someday. Very relaxing! Such a beautiful view! I have always wanted to take my family to visit Yosemite National Park. It seems absolutely gorgeous. Amazing pics! I would love to travel here one day!! Gosh, there is just so many sights I would I need to bring my family out there sometime. This is the second Yosemite post I’ve seen today and now I am jonesing for a family trip there, too. It has to be one of the most beautiful national parks in the US! Yosemite is definitely on the bucket list for me! I want to visit soon! This is a vacation my family needs to take. It looks incredible, and I know it would make for lasting family memories. Amazing. 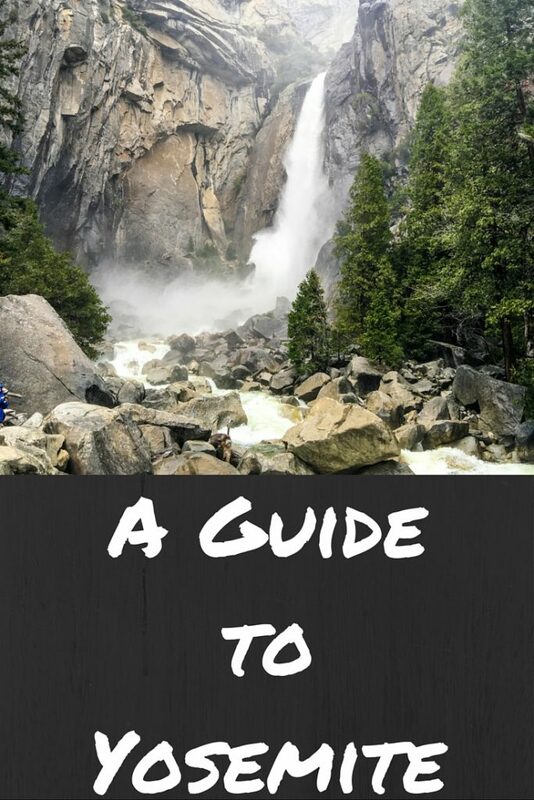 Yosemite is on our family travel bucket list, these tips are so great and helpful! What a beautiful place, I want to visit there someday. I have always wanted to go there! Thanks for sharing all that is great about it! Some great suggestions and tips! We were there a couple of summers, could have used this! Looks like I need to go back and have this handy! I’ve always wanted to visit Yosemite! Your photos are gorgeous. I am working on a life plan to take care of some things so I can spend more time traveling. Getting there! I want to visit Yosemite one day so badly. It looks so beautiful and grand. National parks are some of my favorite places to visit. I would LOVE to go to Yosemite. 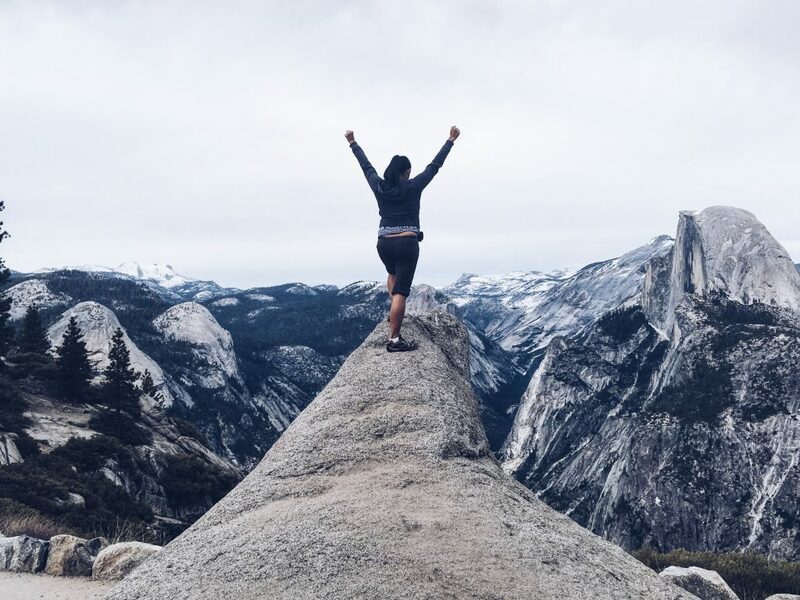 Glacier Point is definitely on the must-see list! This looks like a terrific trip. I really like your general list, as well as your tip list you post here. I haven’t been to a national park is so long. I really enjoyed going as a kid and when I was in college. This post makes me miss it. This is a park on my must get to list! Looks really amazing and oh so beautiful, I hope to get there someday! Yosemite is on my bucket list! I was able to get to the grand canyon last week so I think my next biggest bucket list item is yosemite. Lovely photos! I’d love to go there in the future. I’m a nature lover and I think I’m going to have fun there as much as you did. This national park is on my bucket list for a while and I really hope to cross it off my bucket list soon! When’s the best time of the year to go hiking there?